Taking card payments can be easy & cost from as little as £15 per month. 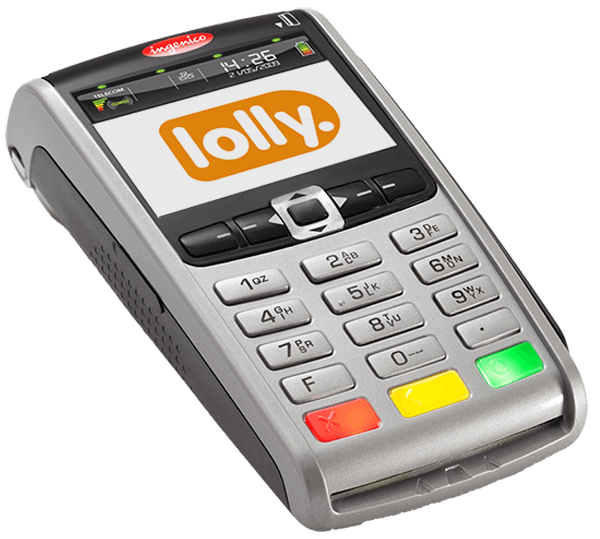 If you just need to take card payments there are a number of card machines to choose from, or go one step further and integrate with your Lolly EPoS to speed up service, reduce keying errors and remove the hassle of reconciling at the end of each day. All our card machines accept all card types, including contactless and ApplePay. We offer competitive rates to help with the bottom line, to keep those transactions costs low. They are all plug and play, dead easy to set up and just need a phone line or broadband to connect. They have the latest PCI PED 2.0 security so that the machine security encrypts card data. They are APCS common criteria approved, complying with relevant standards. Come and talk to us, we’d love to help, just call free phone 0800 038 5389. A countertop card machine that can take chip and pin, contactless and mail and telephone orders. It has a full colour screen with large, easy to read keys and an inbuilt receipt printer for quick processing. 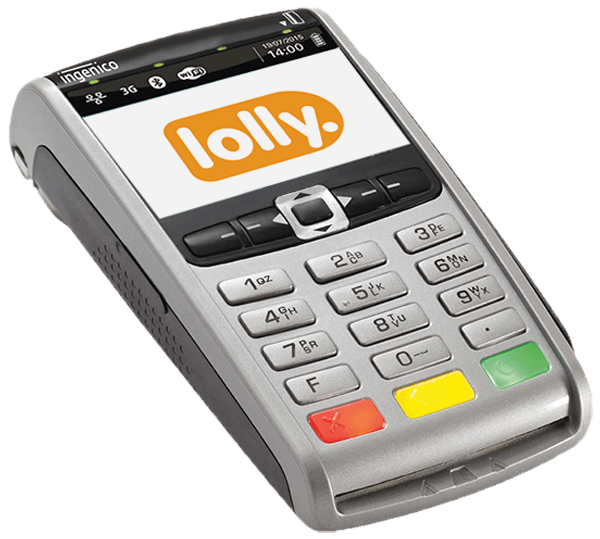 This can be integrated with Lolly’s own EPoS hardware. A mobile, GPRS powered card machine allowing you to take payments in the field – literally! Perfect for festivals, market stands, caterers, food trucks and pop ups, it has a super long battery life that can take up to 200 transactions between charges. This can be used as a standalone card machine. It includes a fast inbuilt receipt printer, and the ability to take mail and telephone orders. A Bluetooth wireless card machine with a hefty 340 hours of standby. It will allow you to take chip and pin and contactless payments within a range of 200 meters. 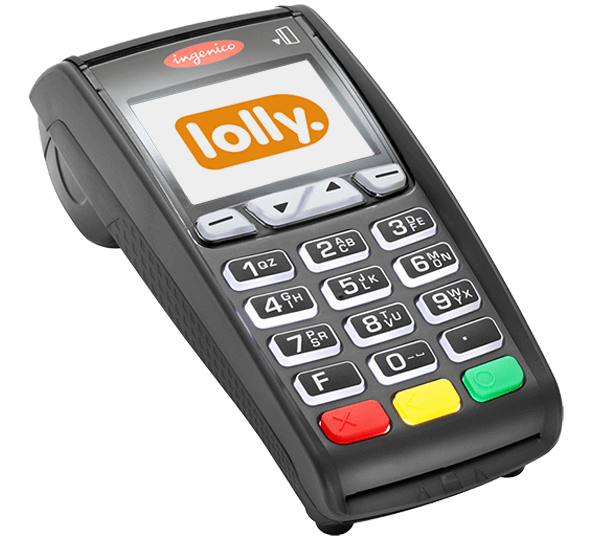 This can be used as a standalone card machine which can be used alongside your existing EPoS. Or it can be integrated with the Lolly EPoS shardware so that it talks to the till to save on double data entry. The capabilities of the Ingenico IWL252 include a fast inbuilt receipt printer, and the ability to take mail and telephone orders.